Often, journalists interview sources once or twice in the immediate aftermath of a tragedy. Then, for a variety of reasons, they don’t keep in touch; other stories may get in the way, their editors may have different priorities, or they may not be accustomed to telling stories of resilience and renewal. They may just be used to telling anniversary stories, which typically don’t go deep into a person’s winding journey toward restoration. As a result, the sources’ stories of resilience, restoration, and recovery get lost. The key is sticking with sources — not forgetting them when stories about the attacks begin to fade, but instead following up with them and seeing how they’re coping and if they’re beginning to find meaningful pathways forward. This is the foundation of good Restorative Narratives. 1.) What happened in Paris? 2.) Who were the terrorists? 3.) Who are the the Eagles of Death Metal? 4.) What is “Pray for Paris”? 5.) When is the curfew in Paris? As important as these questions are, the answers can be difficult to report on and understand. They can lead us — journalists and news consumers alike — to feel helpless and hopeless. 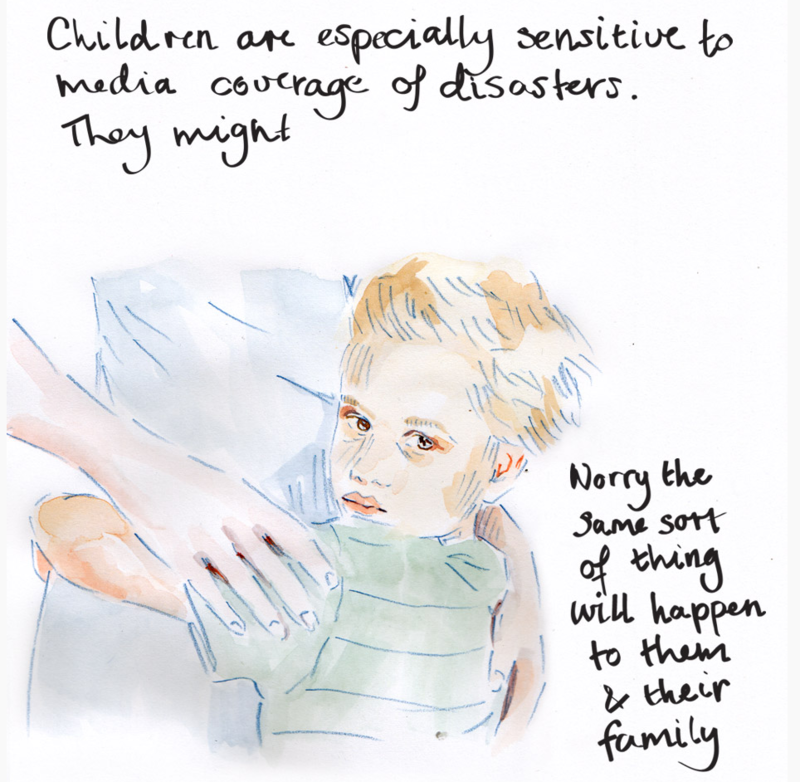 One news organization, the Australian Broadcasting Corporation, published a series of illustrations over the weekend aimed at helping people cope with traumatic news. The Australian Broadcasting Corporation is one of a growing number of news organizations that are using illustrations to convey stories in different ways. 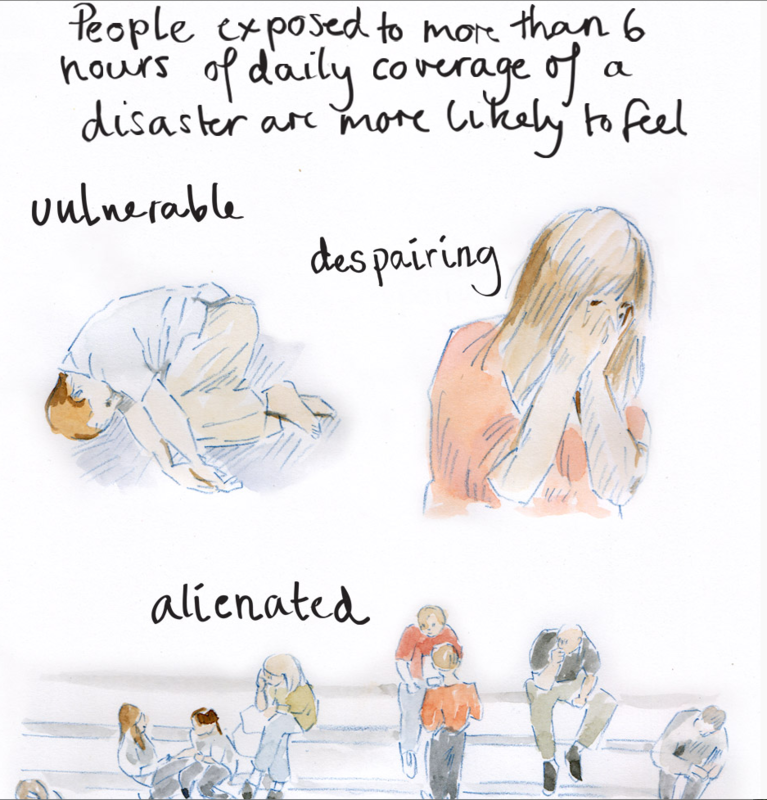 The illustrations reflect research that shows repeated exposure to traumatic news can cause acute stress symptoms, trigger flashbacks, and encourage fear mongering. 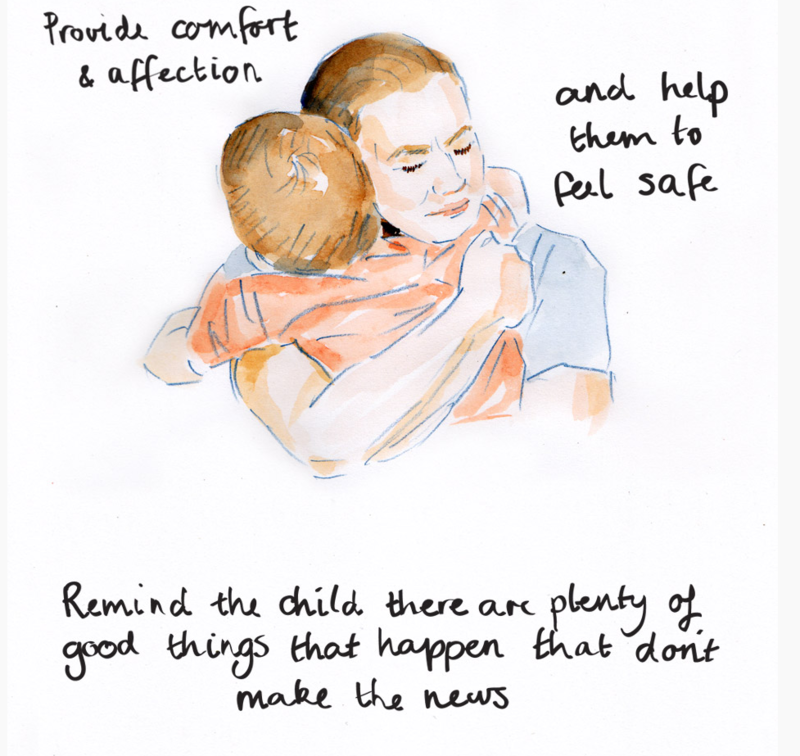 They offer helpful tips not just about how adults can deal with the negative effects of traumatic news but about how parents can help children cope. To see all of the illustrations, click here.